In 2015, stakeholders associated with the Iron Man Canada event, in the region of Huntsville, engaged the Regional Tourism Organization as a partner in the delivery of a media components related to the event and the associated training opportunities. This Expression of Interest (EOI) is to identify a qualified consultant to manage the estimated $6,000.00 project. The consultant will work with information gathered from the Regional Tourism Organization and the Iron Man Steering Committee to develop content, a lure guide and facilitate website updates. A description of the respondent’s company, bios for personnel assigned to the project and their relative person hours spent on the project. Project implementation schedule and fee for service breakdown. The expression would also require the applicant to articulate execution of the following program against a budget not to exceed $6,000. Price and accompanying fees are an important consideration in this project. 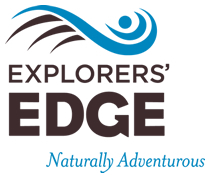 Please forward all documents and request for further information to James Murphy at james@explorersedge.ca (705) 706-1649 on or before August 14, 2015.